The 38th annual Postharvest Technology of Horticultural Crops Short Course concluded TODAY, June 24 at UC Davis. Presented by Beth Mitcham, director of the Postharvest Technology Center, the course focused on postharvest produce quality and safety. Beth Mitcham, Director of the Postharvest Technology Center at UC Davis. Maintaining a good cold chain throughout the entire shipping line is critical, according to Mitcham. “We talk a lot about temperature," she elaborated. "In fact, we tell students the three most important things about postharvest biology and technology are: temperature, temperature and temperature. We discussed many other technologies during the week, but they are secondary to good temperature management,” she noted. 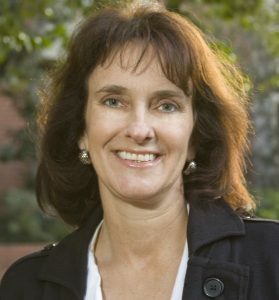 In reducing postharvest losses, Mitcham commented on the dissonance between addressing postharvest flavor and consumer satisfaction, “In some ways they are two opposite ends of the spectrum; some of the things we do to reduce losses are counter to delivering good flavor to consumers," she said. "We really need to do both, and that was a big part of our message this week." Also at the event, the California Leafy Green Marketing Agreement (LGMA) discussed food safety principles, and Trevor Suslow, a UC Davis Plant Pathologist with the Postharvest Technology Center, discussed good agricultural practices (GAP) for food safety.